I have been acquiring some new treasures for my record collection though. I got about fifteen albums the other day from my voice-over instructor, and got ten albums from the HPB bargain bin today (Memorial Day sale!). So, I'll try to get some of these digitized soon so that I can share them with you (and also include some of the songs on my podcast, The Spin-O-Rama Hour). 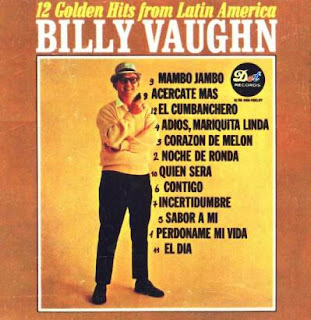 For today, I have Billy Vaughn bringing you twelve hits from Latin America. 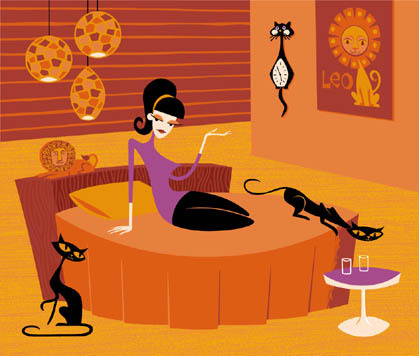 It's some nice easy-listening music that you can dance to or have as background music for your dinner party. Enjoy!